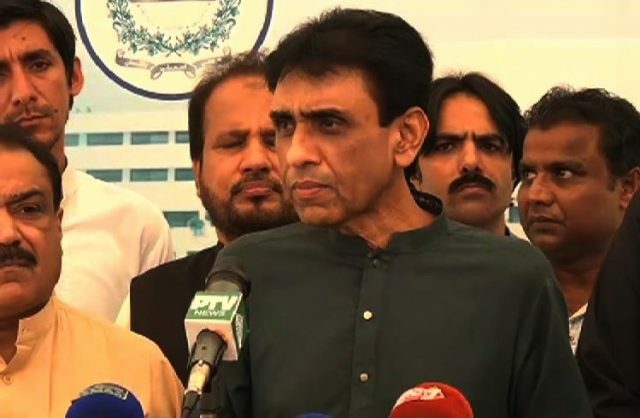 KARACHI: A city court in Karachi on Monday declared newly appointed Information Technology Minister Khalid Maqbool Siddiqui and other Mutahhida Qaumi Movement (MQM) leaders absconders in a case regarding violation of the Loudspeaker Act. The court has also said that their movable and immovable property should be seized. The other MQM leaders who have been declared absconders are Nasreen Jalil, Kunwar Naveed and Kamal Pasha, among others. Dr Farooq Sattar, Karachi Mayor Wasim Akhtar, former leader of the opposition in the Sindh Assembly Khawaja Izharul Hassan and other leaders will be indicted in the case on September 5. They were declared absconders on the police’s request, media reported. Meanwhile, Dr Sattar and Akhtar previously obtained bail in the case. On August 11, an anti-terrorism court in Karachi issued arrest warrants for MQM founder Altaf Hussain, Siddiqui and other leaders of the party. The court was hearing 27 cases regarding inflammatory speeches made by the MQM founder. The other party leaders are accused of facilitating the speeches. The court will indict the accused on September 8.